Reading is not a solitary act. At the best of times children are read to by family, their teachers, beside friends in a room full of classmates. As adults we indulge in study groups, book clubs, public readings by authors or simply sit in a cafe, bookstore, or library sharing this common love of literature with the world around us. And then, even if readers find themselves alone, under the covers with a flashlight or by a fireplace on a rainy day we are not alone – the people and characters we read about are there to keep us company as we explore new ideas. 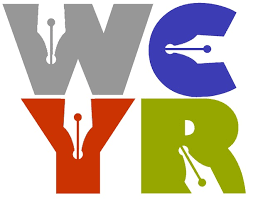 WCYR’s The Bookshelf is a celebration of reading and storytelling. It is our goal to make accessible to the public as many authors, publishers, artists, and supporters of Canadian storytelling as possible. In fact, one of our key sponsors, I C Publishing, will also be on site at The Bookshelf to meet with and share their love of books and reading. The Princess and the Pea, Twas the Night Before Christmas, Nancy Drew series, and Dr. Seuss books are the first that come to mind, but there are many, many more! We sincerely hope you join us at The Bookshelf on Saturday June 25th any time between 9am and 3pm. We have a wonderful Reading Room chock full of fantastic authors and a free scavenger hunt where every participant who solves the riddle-chart wins a prize before entering a draw for free books!